c) the organic molecule DISPLAY levels comprised of humans that express organic molecule social thoughts and social behavior. Let's look at the ORGANIC segment of this system, that is part of a larger system of Nature's engineers. Let's trace the evolution of organic molecule expressions VIA the humanoid philosophy of agency. a) chemistry college graduate and professors ...... physical chemistry with associated symbolic chemistry textbook. This is the most intellectually challenging job ...but after decades of hard work...results in a very accurate and direct and practical information. b) The second method of Nature is involves the conversion of molecule thoughts and structures -----> social chemistry thoughts expressed in literature and theater and Hollywood movies. Some of those messages are very subtle puzzles .....and take 50 to 100 years or more ...to outline. Lewis structures (also known as Lewis dot diagrams, electron dot diagrams, and electron dot structures) are diagrams that show the bonding between atoms of a molecule and the lone pairs of electrons that may exist in the molecule. A Lewis structure can be drawn for any covalently bonded molecule, as well as coordination compounds. The Lewis structure was named after Gilbert Newton Lewis, who introduced it in his 1916 article The Atom and the Molecule. They are similar to electron dot diagrams in that the valence electrons in lone pairs are represented as dots, but they also contain lines to represent shared pairs in a chemical bond (single, double, triple, etc.). Let's look at a proimordial source of the Lewis structure ...from year 1865..... that evolved into more precise atomic detail in year 1916. Carbon-12 is of particular importance as it is used as the standard from which atomic masses of all nuclides are measured: its mass number is 12 by definition. Thus we see the beginning of the organic chemistry ...message output system. 3) year 1920 Lewis Structure .....the organizational structure of organic molecule humanoids that work in organic molecule COAL MINES. John Llewellyn Lewis (February 12, 1880 – June 11, 1969) was an American leader of organized labor who served as president of the United Mine Workers of America (UMW) from 1920 to 1960. A major player in the history of coal mining, he was the driving force behind the founding of the Congress of Industrial Organizations (CIO), which established the United Steel Workers of America and helped organize millions of other industrial workers in the 1930s. After resigning as head of the CIO in 1941, he took the Mine Workers out of the CIO in 1942 and in 1944 took the union into the American Federation of Labor (AFL). Lewis Atomic Structure --> was an American leader of organized laboratory on EARTH LAB in a hydrocarbon department sector of Nature. Now that we have constructed the Lewis Structures. His carbon black identifier label for EARTH LAB. Jerry Lewis ( born March 16, 1926) is an American comedian, actor, singer, film producer, screenwriter and film director. He is known for his slapstick humor in film, television, stage and radio. 11-dimensions of Sartre existentialism ...which include the bull-story dimensions and incomplete explanation dimensions of school tragedies. March Of Dimes .. a more accurate title ..the Jerry March military molecule MARCH into the 11-dimension of string theory. Thus we see CLUES to a vast molecular societal architectural system of Nature ........ that we ought recognize. The military applications are profound. The United States denies that Nature and its molecules may exert influence in society and exert social consequences. Thus ...we have the code of silence and ignorance ..... the official policy of citizen/government intellectuals. Let's look at the string theory report from Cu = Cudahy, Wisconsin of atomic element Cu = Copper and the atomic copper thought string CITY of electricity that LINKs to Oak Creek Wisconsin. 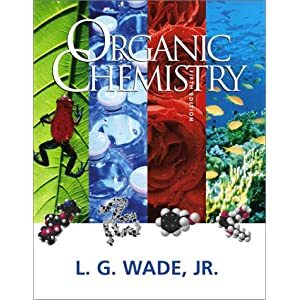 OC = Organic Chemistry signal ...Darwinian selection of WADE, Jr ---> the symbolic evolution to junior agent WADE. Thus we see a system that the world comedy citizen choose to ignore. They are busy watching sports, eating pizza, and telling LIES .......... by the careful omission of the details about tragic events. Being married ...they may be the greatest organic researchers in the bedroom LAB room. They mistakenly assume they are now the greatest news reporters in the world. We have serious empirical data that needs to be understood.